Interlocking Lead Bricks make it easy to erect, modify and relocate protective walls and caves of any size. Their V-shaped edges (A) eliminate the danger of leakage, common to all straight-edged bricks. 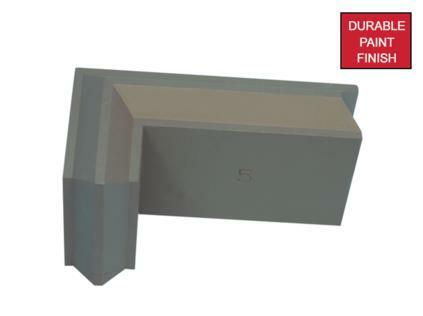 Interlocking Lead Bricks create sturdy walls for a safe, protective enclosure. See reference numbers for shape function. This wall demonstrates the dimensions and alternative positions of all variations of the standard brick wall. The walls should be built with male chevrons directed upwards and to the right, as viewed from the outside of the cell.